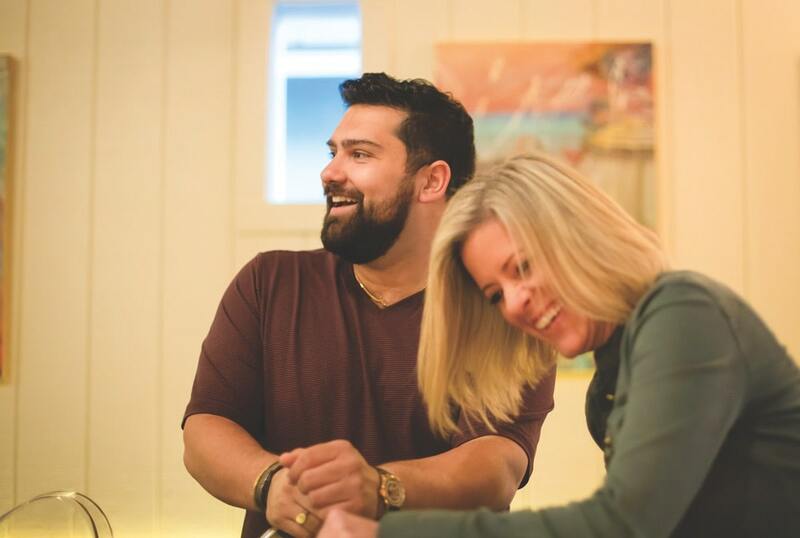 If you’re from Northwest Florida’s Emerald Coast or you’ve visited the area in the last few years, chances are you’ve heard of Chef Nikhil Abuvala of Roux 30a. 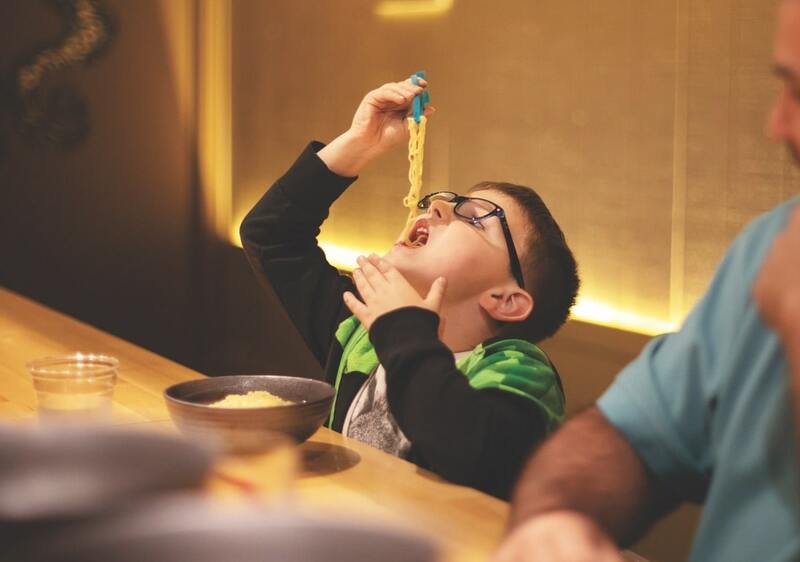 But how well do you know his newest business endeavor, Nanbu noodle bar? 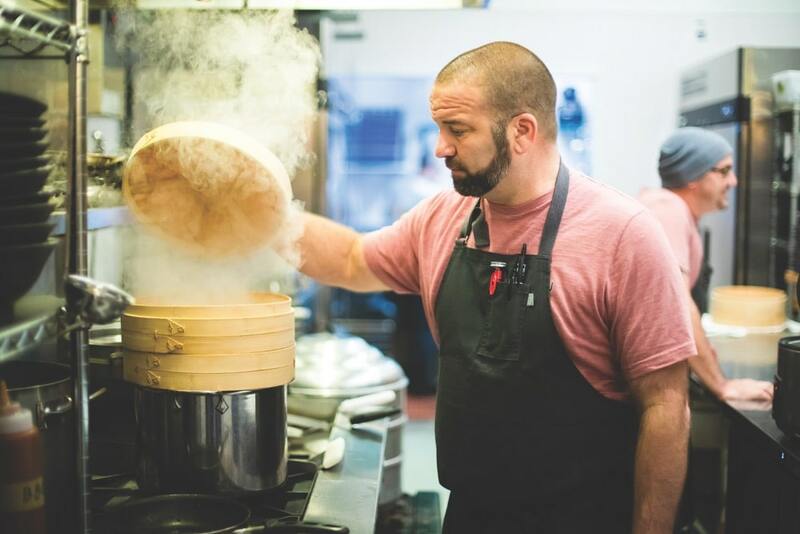 What seemed a pipe dream for Abuvala has come to full fruition, and we had a chance to sit down with him to chat about the noodle bar that has taken the local restaurant scene by storm since opening its doors in the Art District of Grayton Beach at the beginning of 2019. VIE: Tell us a little bit about yourself. How did you get started in the restaurant industry? Nikhil Abuvala: I was born in Atlanta, Georgia, and later moved to Santa Rosa Beach. At the age of thirteen, I started taking private sushi-making lessons, where I discovered my love and passion for the culinary field. Shortly after that, I was offered a job to join a sushi team, and the rest is history. For years I worked to produce unique culinary creations, and then I decided to open my own company, Roux 30a, in 2013. I host private dining experiences that showcase different foods from around the world, cater private events, and much more. Earlier this year, I decided to open a Japanese-inspired restaurant called Nanbu noodle bar. It’s an open-kitchen concept featuring ramen and poke, bringing that big-city flair I experienced living in Atlanta to this quaint beach town I am so fortunate to call home. VIE: How did the idea and inspiration for Nanbu begin? NA: Some of my favorite food is clean, Asian-style cuisine. Being of Indian heritage, I remember my grandmother cooking for me when I was young. She inspired me, as did my first job working with Japanese food and being a sushi chef. I love Asian culture and how clean it is! The idea started as a need to provide lighter, healthier food in this area. With so many incredible restaurants here that are inspired by rich, Southern-style cuisine, I wanted to bring that lighter flair to people. VIE: Where did the name “Nanbu” come from? With so many incredible restaurants here that are inspired by rich, Southern-style cuisine, I wanted to bring that lighter flair to people. VIE: If you had to choose a favorite item on Nanbu’s menu, what would it be? NA: For an appetizer, it would definitely be my pork belly steamed buns! The best thing, though—and the whole reason I chose to do a ramen and poke style menu—is my Faroe Island salmon poke bowl. That will always be my go-to meal. VIE: Where do you find inspiration for developing new recipes and menu items? NA: With Nanbu meaning “southerner” and my desire to create healthier cuisine, I took inspiration from a type of ramen dish called bikini ramen. Most ramen has a thick, rich broth to it, and I wanted to do something different. I wanted to create a brighter, refreshing bone broth that you might see around the world paired with fresh ingredients. 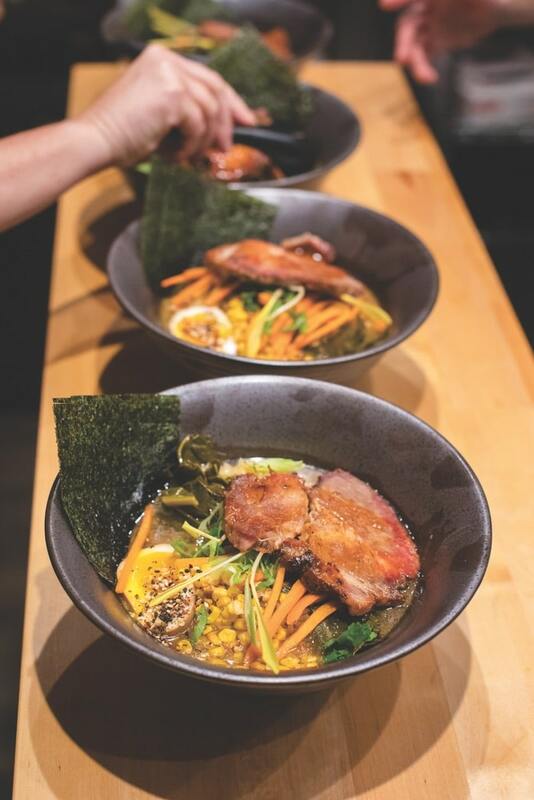 One of our menu items is called the Nanbu Noodle Bowl—it’s a Southern-inspired bowl filled with barbecue pork shoulder, collard greens, and charred corn, but the broth keeps the dish light. VIE: What do you see for the future of Nanbu? Do you hope to open a second location here or in another city? NA: Of course! The whole idea and the design behind Nanbu are that it is something that is repeatable. I have the most incredible staff, and if our success continues the way it has just over the last several months, I hope to grow the franchise and open more locations. VIE: What is your favorite thing about your work? NA: Both of my concepts, Roux and Nanbu, are open-kitchen restaurants. My favorite part is being involved with the customers and their dining experience. 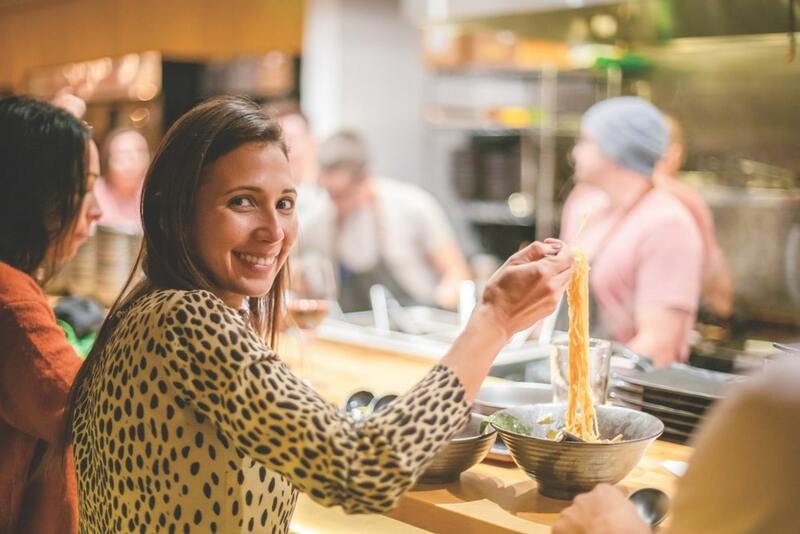 It’s the coolest thing in the world to be able to cook something and then serve it to the customers and see the pleasure that comes across their faces when they eat it. I love that instant gratification; it’s one of the most rewarding feelings! 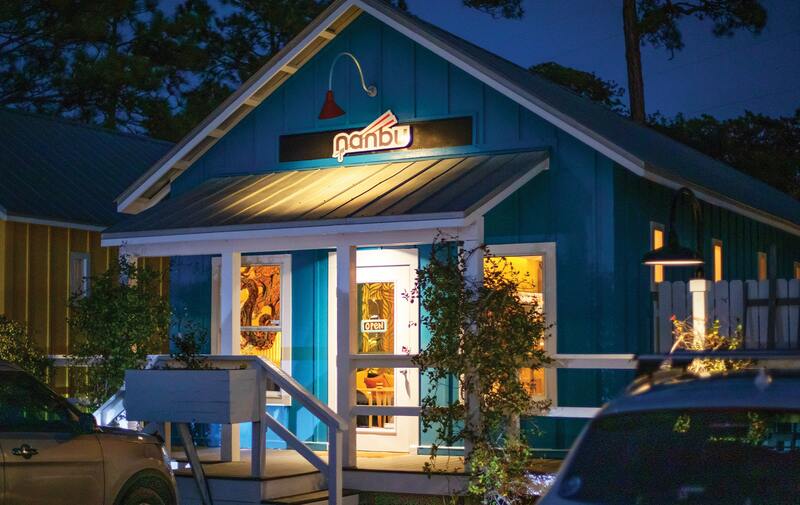 Nanbu is located at 26 Logan Lane, Unit C, in the heart of the Art District of Grayton Beach, Florida. 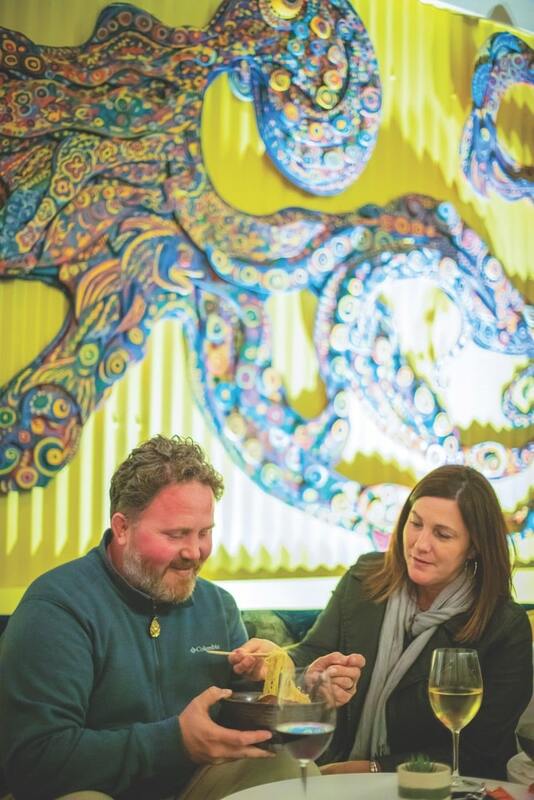 Be sure to dine with them Tuesday through Saturday nights from five to eleven or on Sundays from five to nine-thirty—walk-ins only. To learn more about Nanbu, visit NanbuNoodleBar.com.